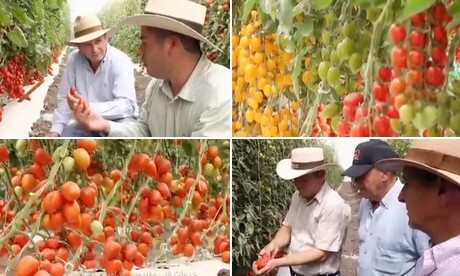 Thorough research is carried out before a new tomato variety can be introduced. We see that in this video from Ahern, supplier of vegetable seeds. Sales manager Enríque Peña says that a great deal of internal testing and research is carried out, for example in the area of the best genetics, but there are also demonstrations with tests that are thought to be commercially interesting. For those who do not understand Spanish, it‘s a nice view inside a neatly organised tomato greenhouse.